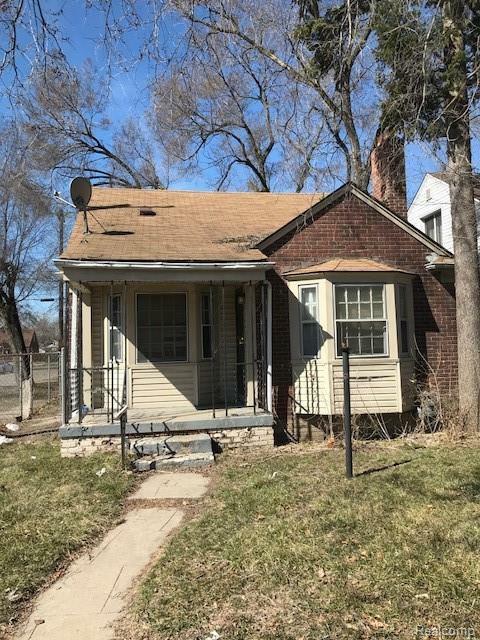 BRICK BUNGALOW HOME LOCATED NORTH OF SEVEN MILE AND WEST OF GREENFIELD. HOME FEATURES HARDWOOD FLOORS, AND AN UNFINISHED BASEMENT. PROPERTY IS SOLD AS-IS. ALL DIMENSIONS ARE ESTIMATED AND SHOULD BE VERIFIED WITH THE BUYER'S AGENT. BUYER TO PAY DETROIT INVESTMENT COMPANY A $250 PROCESSING FEE AT CLOSING. ALL SHOWINGS REQUIRE A LICENSED AGENT PRESENT.